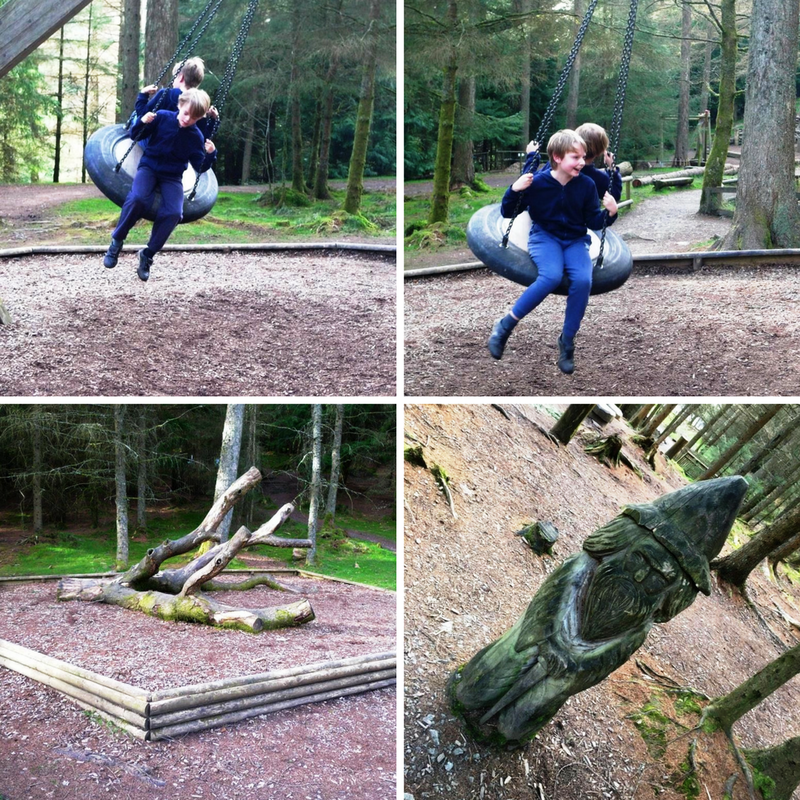 On a recent trip to The Lake District, we chanced upon a brilliant play area for children. It was the Wild Play trail at Whinlatter Forest. 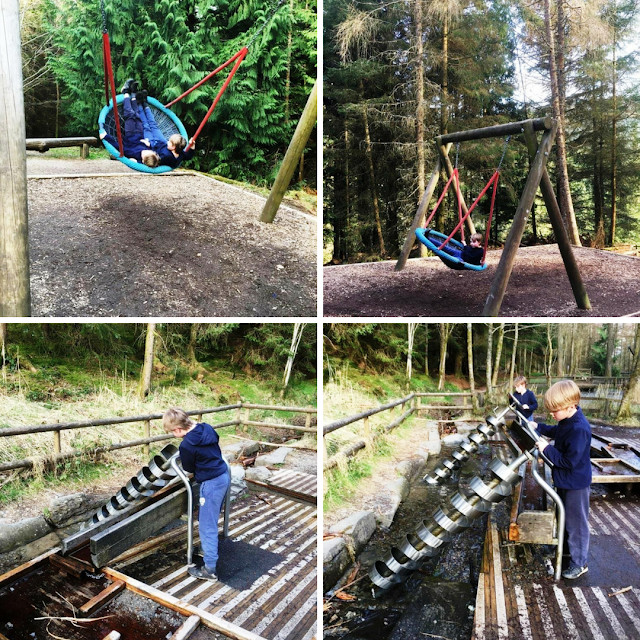 It is just a few miles from Keswick and offers a wonderful play trail through the trees with swinging, splashing, sliding and climbing – and the best part is it's all for FREE. 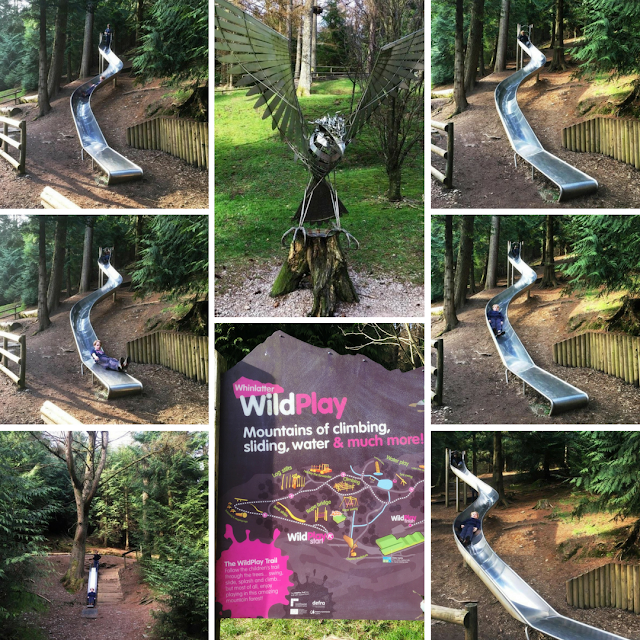 Located in Whinlatter Forest at Whinlatter Pass on the B5292 near Braithwaite, Wild Play at Whinlatter Forest is just 5 miles west of Keswick making it a great destination for a family day, being less than two hours away from Newcastle. 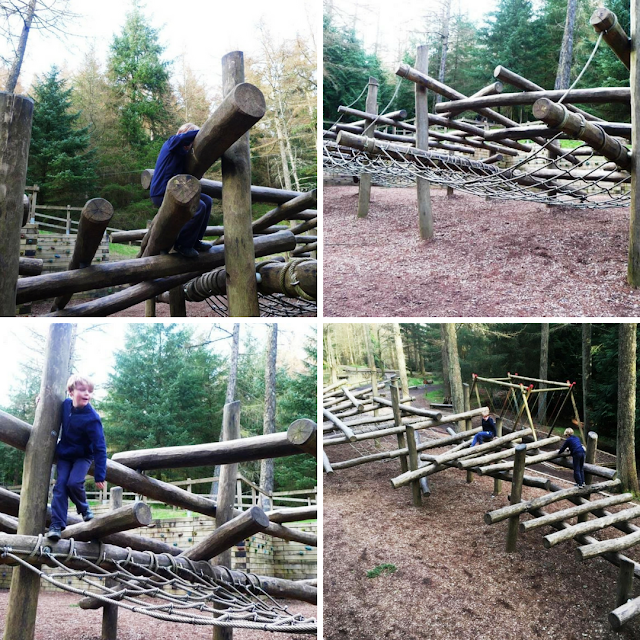 The Wild Play trail has a rope bridge, bank slides, balancing and stepping logs, Log stilts, climbing frames, rope swing, Archimedes screw with water play, tyre swing, fallen tree climb, gravel play, a basket swing and play huts in nine different play areas around the 600m trail. It has been designed to be a superb way for children to experience a healthy and physical challenge in the spectacular surroundings of Whinlatter Forest and both me, and hubby plus the boys were really impressed. On the day we went, we didn't arrive until midway through one Sunday afternoon one Sunday and the trail was fairly empty. But I’d have thought that it will a lot more popular especially in busy holiday periods. The Forest Visitor Centre is open from 10am – 5pm and facilities include a café, toilets and picnic areas. Whinlatter is England's only true Mountain Forest. It is home to stunning views, fantastic walks, exhilarating mountain biking, rare wildlife and as we discovered adventure play. 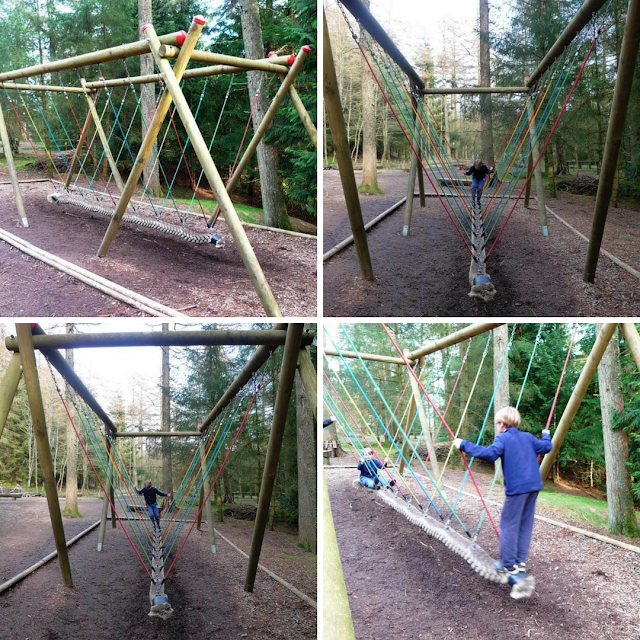 The Forest is managed by the Forestry Commission and is a great day out for all ages. As well as Wild Play the forest has walking trails of varying lengths to suit all abilities, taking you to up to viewpoints across Bassenthwaite Lake and Derwent Water, Skiddaw and Grisedale Pike. There are cycle tracks, Go Ape and an osprey Centre too, red squirrels, roe deer, family walking trails as well as the Gruffalo Trail which on this occasion we didn’t have time to do. 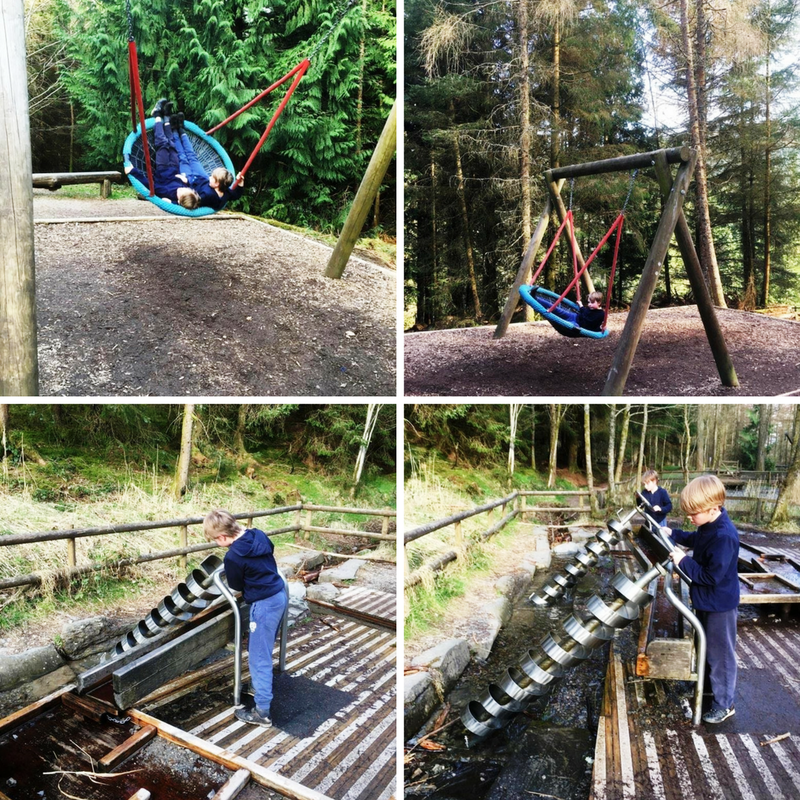 Whinlatter Wild Play Trail really does offer mountains of climbing, sliding, water and more. It is beautifully located and built within the splendour of the forest and also with its natural material blends in perfectly to the landscape. At the end of a great day out in The Lakes, Whinlatter Forest gave us a great place for the boys to really stretch their legs before the car journey home. 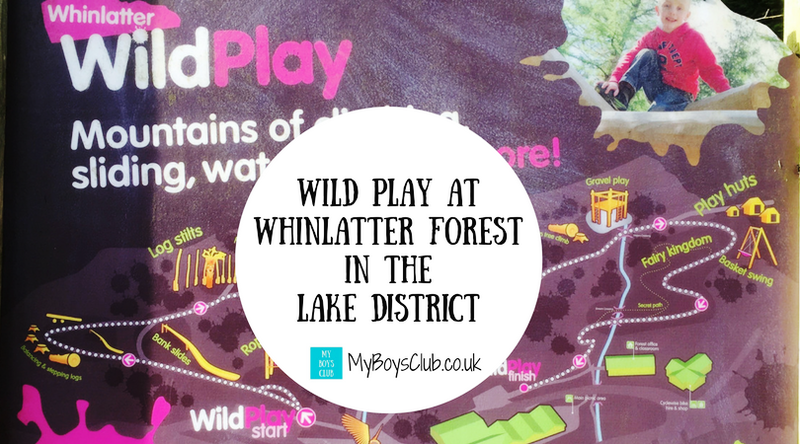 So if you are looking for things to do with children in the Keswick area of Cumbria I can totally recommend Wild Play at Whinlatter Forest. The Wild Play Trail is free but you do have to pay to park. There is a 'pay on exit' system. Up to 20 minutes is free; your first hour is £2 with additional time charged at 45p per 20 mins up to a maximum of £8 for all day. 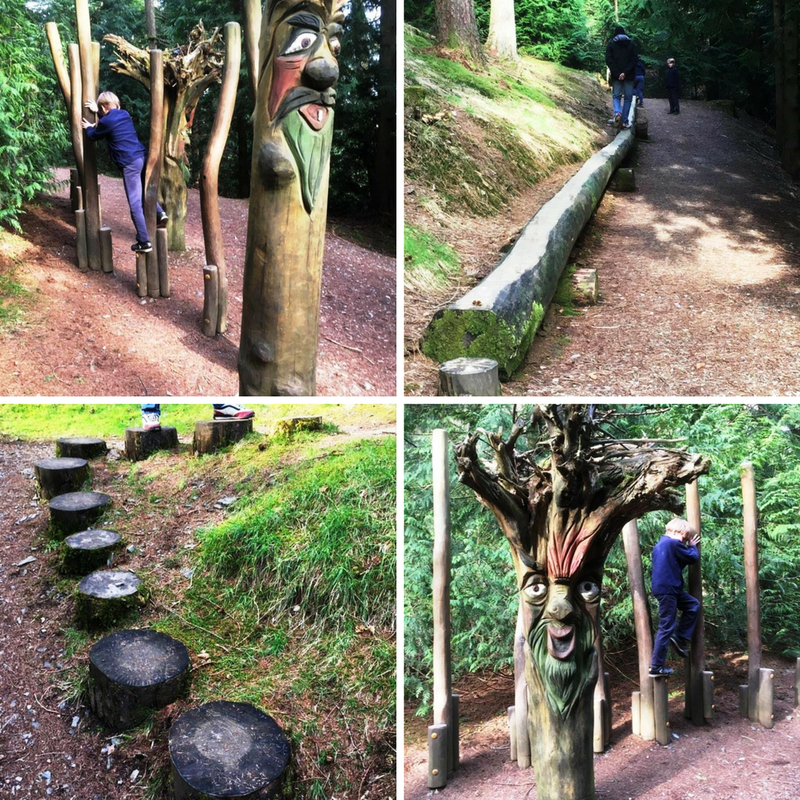 Have you been to Whinlatter Forest? It is fab isn't it.